Text highlight color : Makes text look like it was marked with a highlighter pen. 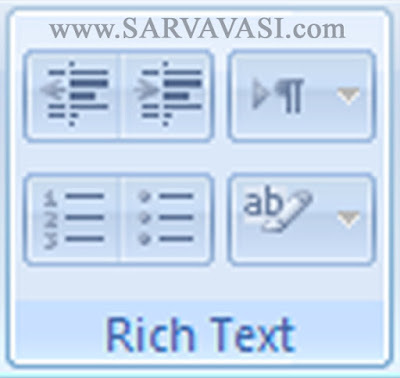 Decrease indent :Decreases the paragraph indentation. Increase indent :Increases the paragraph indentation. Left-to-right :Fills control from left to right. Right-to-left: Fills control from right to left.